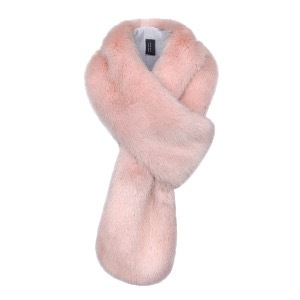 Simply the most stunning soft pink faux fur scarf with such a luxurious feel. Helen Moore is the go to designer for the very best in all things faux fur. This scarf has tail that slips through the loop and is lined with soft grey lustre velvet to ensure that it sits perfectly on clothing and will not slide.